"In 2010 I retained John to design, supervise, plant and maintain my gardens. The proposal was completed on time, on budget and any modifications were carried out without fuss." "I rarely issue testimonials, but in John’s case, I have no hesitation in recommending him to potential clients, as he knows his business, presents his concepts clearly, his documentation is clear and precise and the combination of hands on experience in the National Botanical Gardens with his professional qualifications and experience make him an excellent Landscaping Consultant." Paul D. Griffin Dip. Arch. 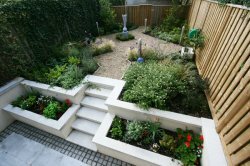 "In March 2010 I hired Greenseed Landscapes to design and construct my garden as part of a refurbishment I was completing on my new home. They had been recommended to me by an architect friend of mine. I found John and Adrian to be professional and reliable, as well as flexible and accommodating. They listened to my requirements and preferences for the design of my garden and were able to offer lots of ideas to meet my needs. The project was completed on time and on budget. 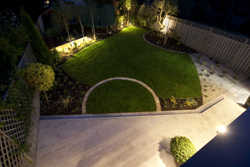 One year later, I continue to enjoy my new garden with its vibrant colours and bespoke features." 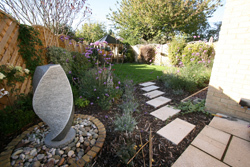 "John listened to our requirements when we needed to landscape our garden following a house extension. He presented several options. with a patiently designed hybrid solution diligently executed. The quality of the hardscaping is exceptional, which combined with extensive plant knowledge are the qualities of a top landscape gardener. John and Adrian also execute all the work themselves thereby ensuring high standards, and also diligently follow up after implementation to ensure customer satisfaction."